This exhibition premieres new work by Vancouver artist Kevin Schmidt. 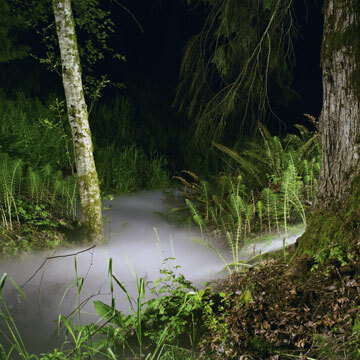 It will feature Fog, a meditative reflection on nature as both a sublime and an artificial spectacle. This new work extends his interest in utopic aspirations expressed in the powerful video work, Long Beach, Led Zep, (2002), now in the National Gallery of Canada Collection. Recent exhibitions include: Emotion Eins (Frankfurter Kunstverein), Important Canadian Art (Zierhersmith, New York), Soudtracks – Replay, (Edmonton Art Gallery, Blackwood Gallery, McKenzie Art Gallery), Hammertown (Liverpool and Edinburgh) and Satan Oscillate my Metallic Sonatas (Contemporary Art Gallery). 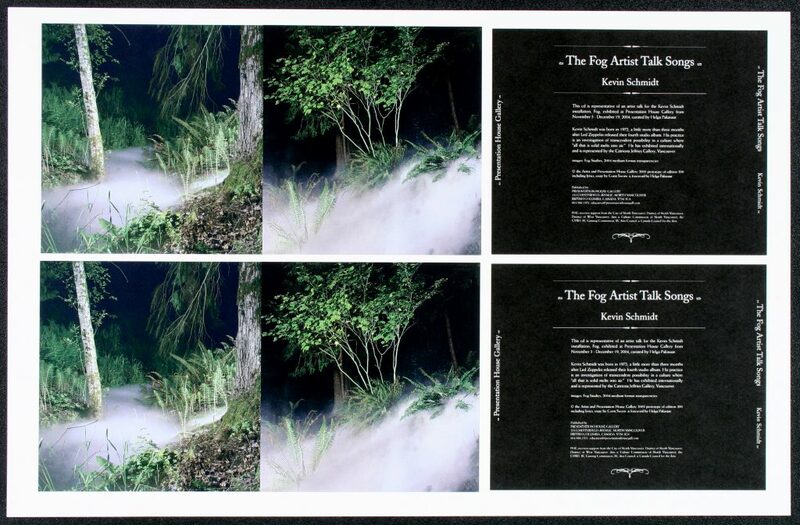 Presentation House Gallery produced a CD which is representative of an artist's talk for the Kevin Schmidt installation, Fog, with an introduction by curator Helga Pakasaar and a text by Corin Sworn. Performance/ Talk: Tuesday, November 9 at 8pm at PH Theatre. A limited print edition Prospect Point, 2007 is available here. Poster for the exhibition "Fog"
This CD was produced in conjunction with Kevin Schmidt's installation, Fog, first exhibited at Presentation House Gallery. The artist's 'talk' for the exhibition took the form of a rock concert for which Schmidt wrote the 'Fog Songs' performed by his band, Kevin Schmidt and the Strategy. Complete with dry ice fog and lyrics about transcendence, the rhetoric of a rock concert served as a foil for the artist's ideas, turning the convention of authoritative explanations for artistic practice into pure performance. 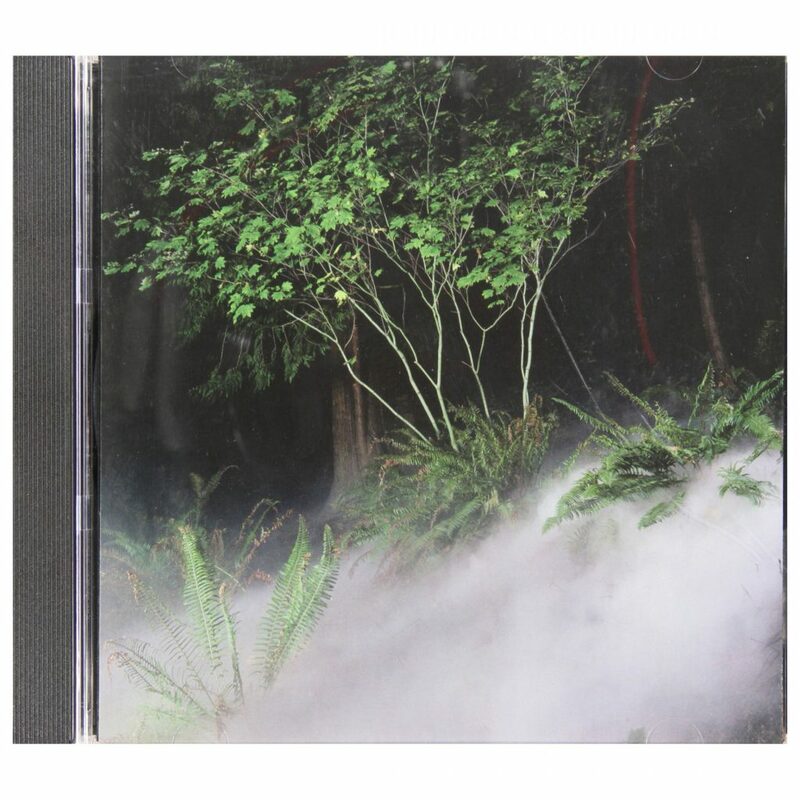 This CD is representative of an artist's talk for the Kevin Schmidt installation, Fog, which was exhibited at Presentation House Gallery from November 5th to December 19th, 2004. With an introduction by curator Helga Pakasaar and a text by Corin Sworn.